In Cate West: The Velvet Keys – the sequel to Cate West: The Vanishing Files – police are once again baffled by a strange series of murders that see Cate West, celebrated novelist and insightful visionary travel to faraway Damasca. Only this time, the victims’ bodies seem strangely ghostly, nor do they bear any marks of foul play! When Cate discovers a mysterious book that holds clues to the mysterious murders, she reads about a curse called “The Keeper’s Mark” which causes its victims to suffer from a physical state of neither living nor dead. The only way to unlock the victim’s soul is for Cate to forge a Velvet Key by fusing the alchemical properties of random objects. 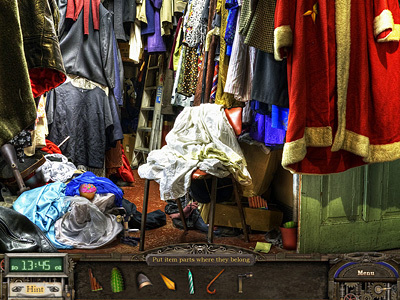 The hidden object scenes are challenging not only because the objects are well hidden, but because the clues to the objects themselves are not necessarily straightforward. For example, in one scene where you must search for three sunken ships, it’s not the actual shape of a ship you are expected to find, but rather something else that represents the ships. Or in another scene instead of presenting you with a list of items or pictures of the objects to find, you are given riddle-like clues – generated from the victim’s memories – that require you to first come up with the answer, and then find the object represented by the answer. The whole gameplay is therefore exciting all the way through, because you never really know what challenges are up ahead. Every time Cate has assembled a Velvet Key, she is able to communicate with the ‘undead’ who point her towards a crime scene. Once she gathers all the information she needs from the crime scene, the victims are then taken to an Ossuary – a bizarre machine designed to revive them – which Cate must activate using the appropriate Key after completing a puzzle. As the game unfolds and more bodies are discovered, the beautifully designed quest continues. The graphics are stunning, the music adds to the spooky atmosphere, and the story cleverly leads from one scene to another. 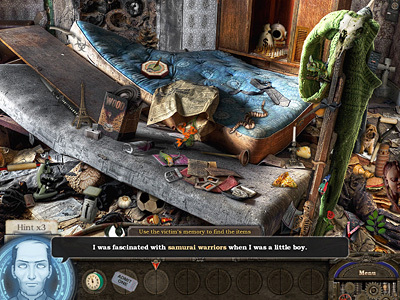 According to the game’s developer, the game has seven different variations of hidden object gameplay and five types of mini-games spread across 12 chapters that culminate in 3 possible endings determined by the player’s score. 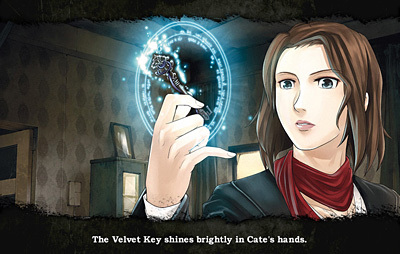 If you like Hidden Object games, then Cate West: The Velvet Keys should be a real treat. And if you’re new to the genre, then this game would be a great one to start with because it includes not only classic hidden object gameplay, but also a variety of other hidden object mechanisms that build your hidden object skills without you even realizing it. Download and play Cate West: The Velvet Keys for FREE now!